Dr. Becker is an adjunct professor at his alma mater, the Washington State University College of Veterinary Medicine, as well as at the College of Veterinary Medicine at Colorado State University and the Research Center for Human-Animal Interaction at the University of Missouri's College of Veterinary Medicine. 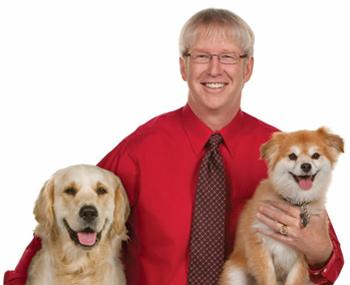 He has lectured at every veterinary school in the United States, and has been named Companion Animal Veterinarian of the Year by the Delta Society (now Pet Partners) and the American Veterinary Medical Association. Dr. Becker also serves as an honorary board member of Pet Partners and the Humane Society of New York.